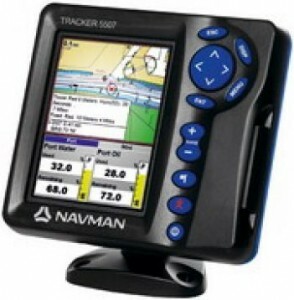 •VGA ultra-bright screen with high resolution (640 x 480 pixels) : pixel power quadrupled compared to current QVGA GPS. •C-Map Max compatible (see page 54) ; 32 MB embedded worldwide cartography eliminates the need for a C-Map cartridge in GPS mode. All the functions of the new Tracker5607, in a slightly more compact instrument. 5" (127 mm) VGA daylight viewable, ultra-bright screen. High resolution (640 x 480 pixels).